Den Haag, 16 December - Mr. 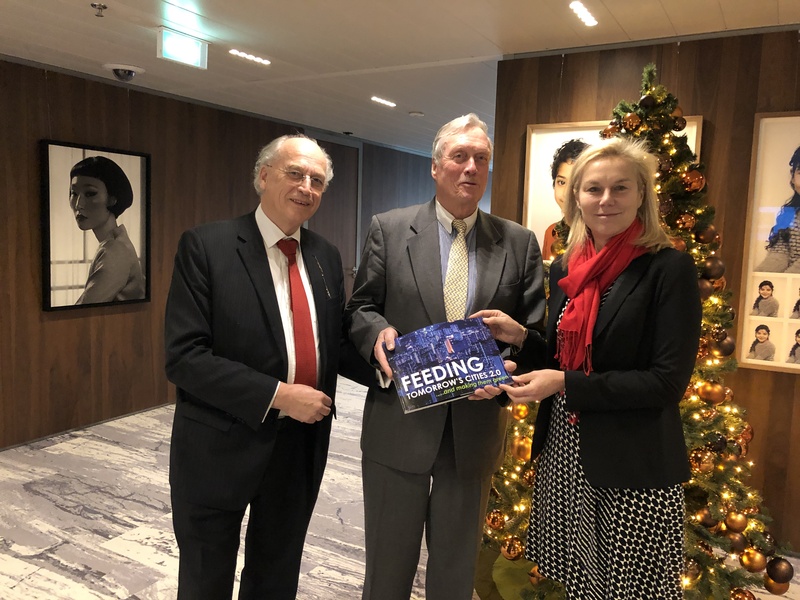 Ate Oostra and Mr. Jan Hak presented 'Feeding Tomorrow's Cities 2.0' to Mrs. Sigrid Kaag, Minister for Foreign Trade and Development Cooperation. The book, published by Platform Metropolitan Food Security, is a follow-up of the earlier successful edition. This time however the focus lies not only on how to feed world's largest cities and urbanizing areas, but also on how to make them 'greener'. Its rich content offers contributions from leading acedemia, entrepreneurs and relevant government offices as well as Dutch companies.